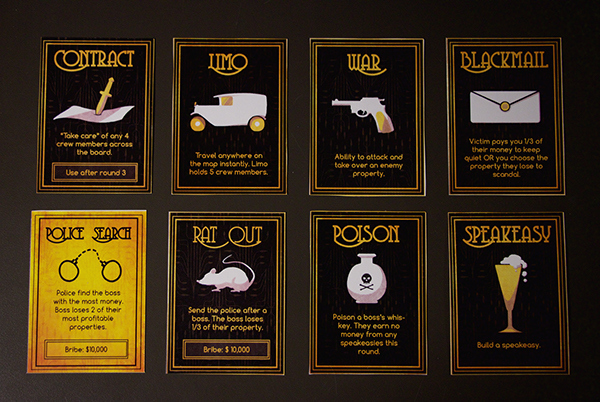 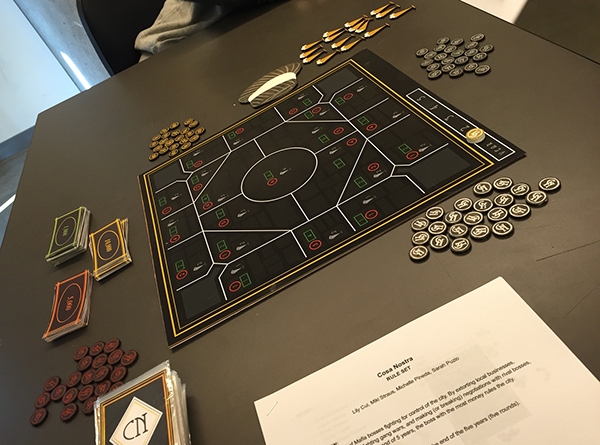 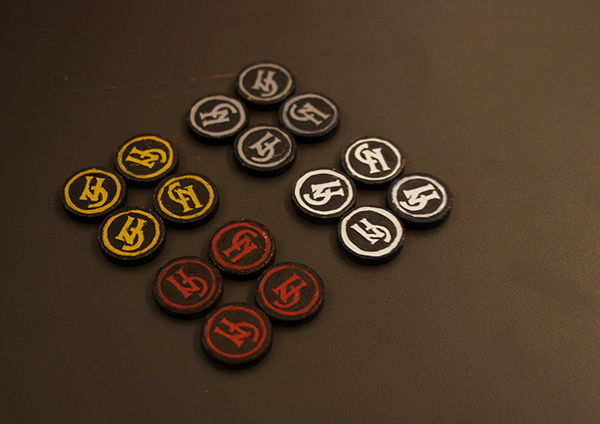 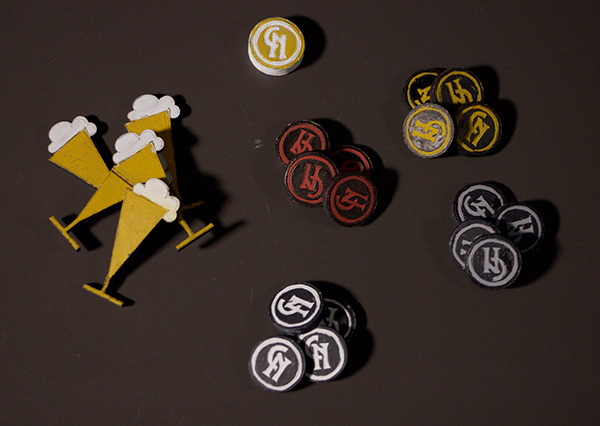 An area of control board/card game based on the Sicilian Mafia. 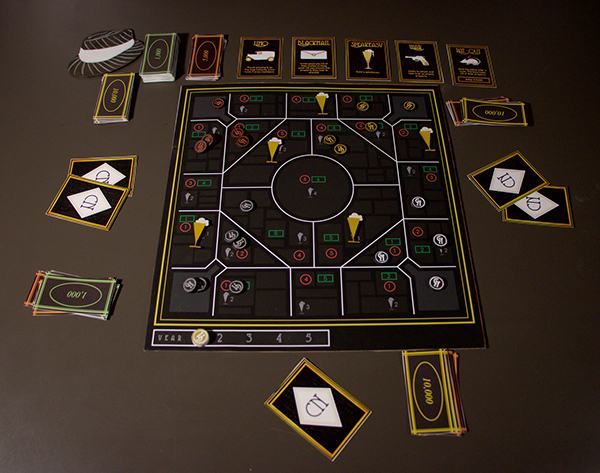 Players act as Mob bosses as they try to take over as much of the city (Board) as possible. 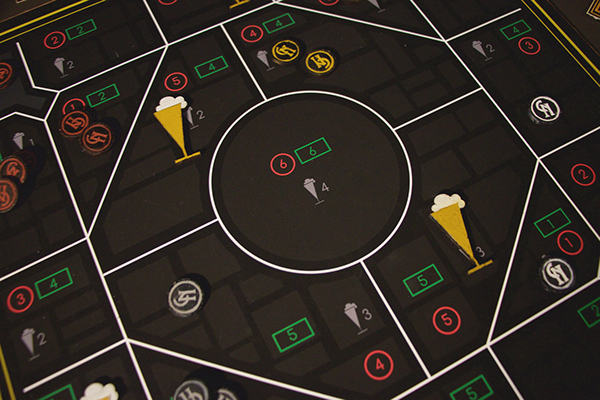 They can negotiate with each other, back stab, start up speakeasies, and fight each other to become the richest mob boss of the city.